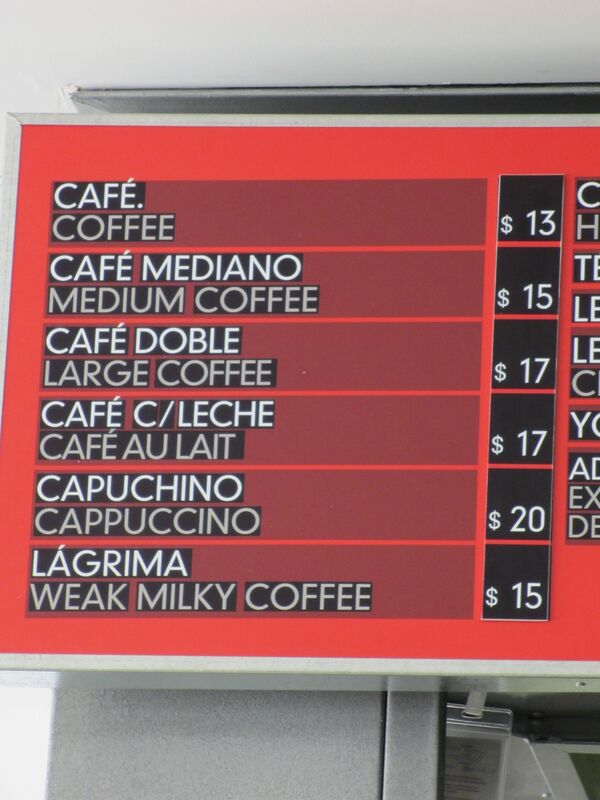 Below is the coffee menu at the El Calafate airport. Weak Milky Coffee, sounds de-lish! Give me a venti! BTW, prices are in pesos, not dollars (they us the $ here). Divide by 4.4 for rough dollars estimate. This entry was posted in Patagonia and tagged cappuccino, El Calafate, Patagonia. Bookmark the permalink.